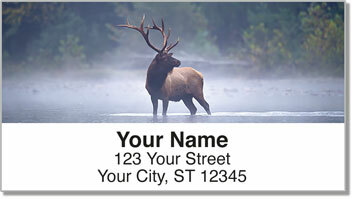 Amazing nature photography featured on these unique return address labels captures the essence of one of the largest mammals in North America. Although they once could be found across much of the continent, elk were slowly driven westward as settlers expanded across the United States. 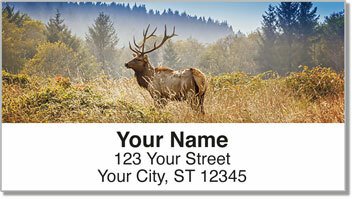 Now slowly but surely, the number of elk has been increasing, and they can be found as far east as Pennsylvania. 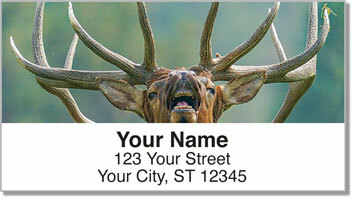 Elk Address Labels from Check Advantage are the perfect choice for conservationists, outdoor lovers or anyone who appreciates the beauty of these majestic creatures and their impressive antlers. 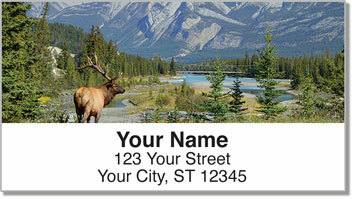 Get your own Elk Address Labels right now!